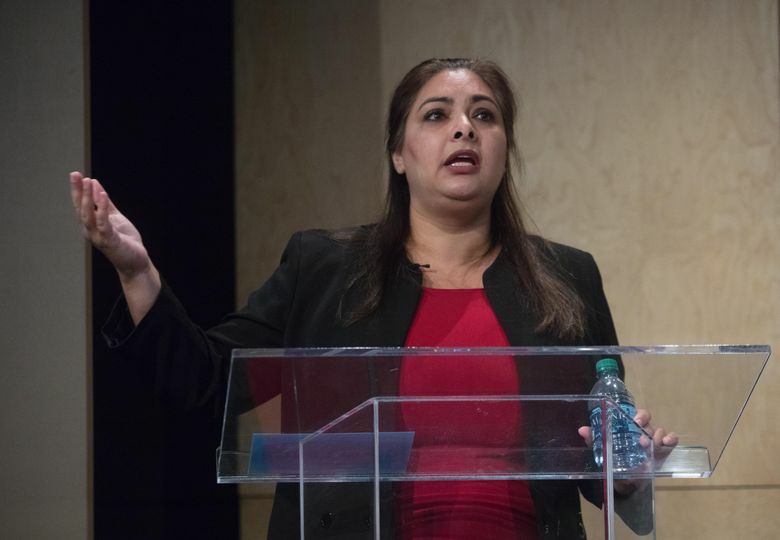 Just weeks away from the November election, state Senate candidates Democrat Manka Dhingra and Republican Jinyoung Lee Englund squared off in a debate Tuesday. 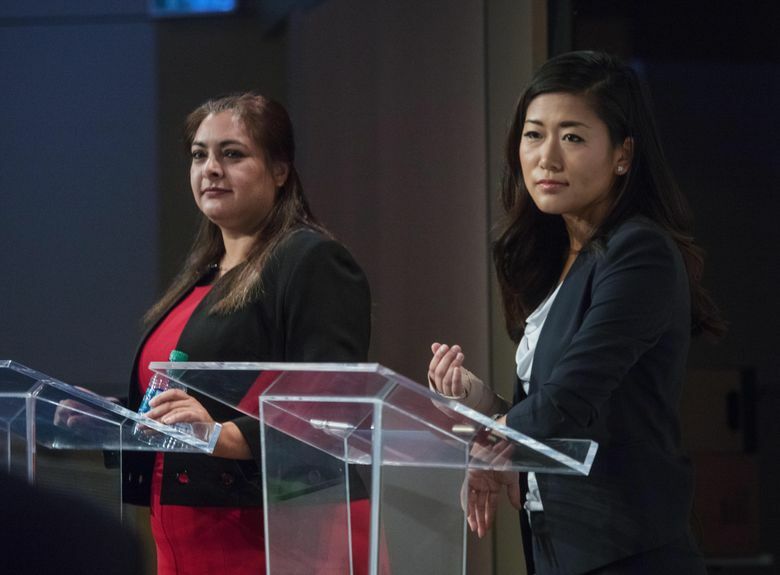 The question dominated a state Senate election debate between Democrat Manka Dhingra and Republican Jinyoung Lee Englund in Redmond on Tuesday. 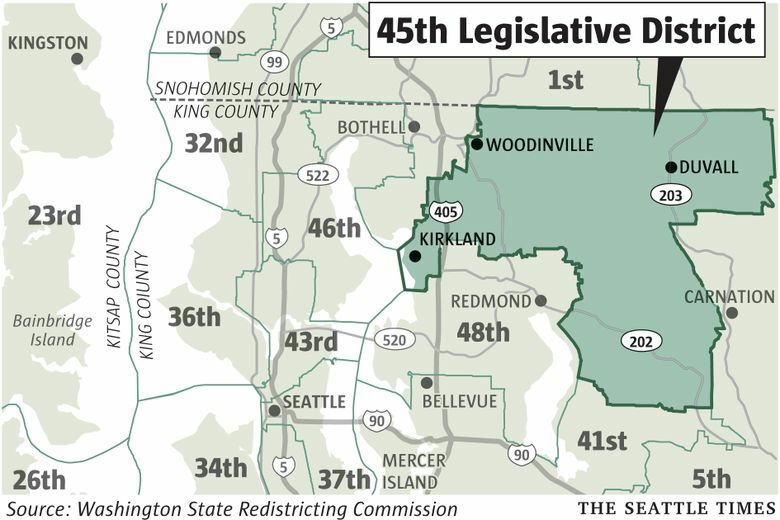 Should voters elect a Democrat to the Eastside’s 45th District and hand that party control of both chambers of the Legislature, or should they select a Republican and maintain a divided and sometimes contentious state Legislature? Just weeks away from the November general election, the candidates made their cases to voters in an auditorium at Microsoft’s Redmond campus. A victory by Dhingra, a senior deputy prosecutor for King County, would give control of the state Senate to Democrats, who already hold the governorship and state House. A win by Englund would keep the current one-vote margin in the Senate that a GOP coalition holds. Dhingra promised to co-sponsor legislation supporting women’s reproductive rights, including HB 1523, which would require that health plans provide coverage for services such as birth control at no cost to patients. The bill passed the House on a bipartisan vote this year but stalled in the Senate. “We will make sure that that bill gets passed,” Dhingra told a crowd of several hundred at the debate, which was presented by Seattle CityClub and KIRO 7. Englund, who has worked in the nonprofit, business and political worlds, railed against Seattle’s new tax on income, and against plans to open two safe drug-injection sites, one in Seattle and another elsewhere in King County. She said she’s open to the idea of a statewide ban on such injection sites. 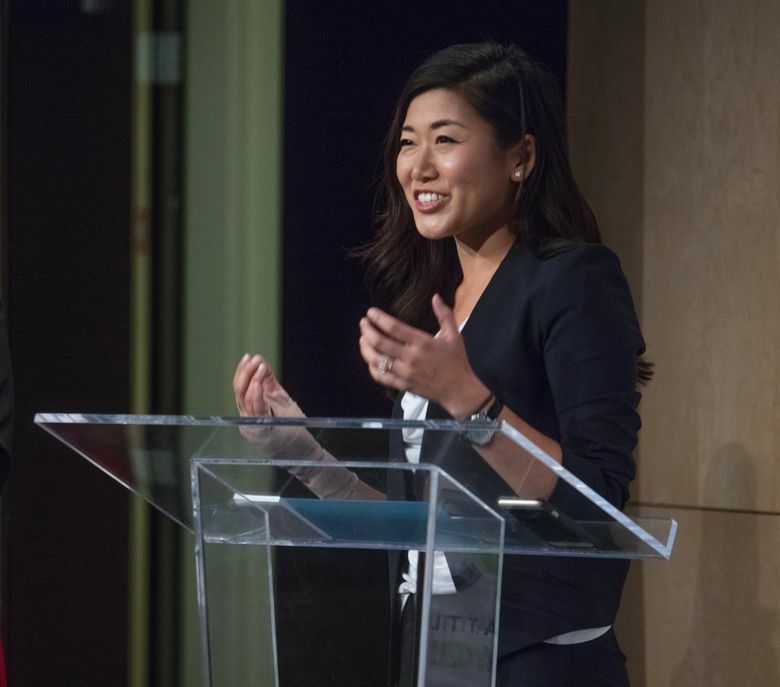 “When I go door to door, I hear a lot of people say, ‘Look, keep Seattle’s ideas in Seattle,’ ” Englund said. Englund also argued that split control in Olympia has produced balanced policies, citing the bipartisan push in recent years to hike K-12 education spending. However, Englund has said she would have voted against the GOP-driven property-tax hike to raise more money for schools. Those tax increases are expected to hit many 45th District residents hard. Instead, she called for the closure of tax loopholes and better prioritization of existing revenue to find the money. Dhingra, like many Democratic lawmakers, also criticized the property-tax plan. She called for rolling back the property-tax hike by raising revenue through closure of business tax exemptions, or establishing a tax on capital gains. Democratic lawmakers and Gov. Jay Inslee in recent years have proposed a capital-gains tax but have not brought it to the House floor for a vote. Republicans have sought to tie Dhingra to the possibility of a state income tax, although she has repeatedly said she does not support one. The candidates split over whether they supported Democratic state Attorney General Bob Ferguson’s lawsuits against Trump administration policies involving immigration and other issues. “What I would like to see our attorney general do is focus on matters of the state,” said Englund, such as contesting Seattle’s new city income tax, which has already drawn multiple lawsuits. Englund has said that she did not vote for Trump last fall.